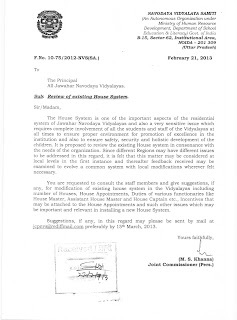 CLICK HERE to see more than 500 employees have already demanded REGULAR posts of WARDENS and MATRONS from different JNVs in India. Navigate to the right side of the blog if you wanna sign the petition,as well. Or else, simply voice your opinion by voting on the poll at the top of the blog. 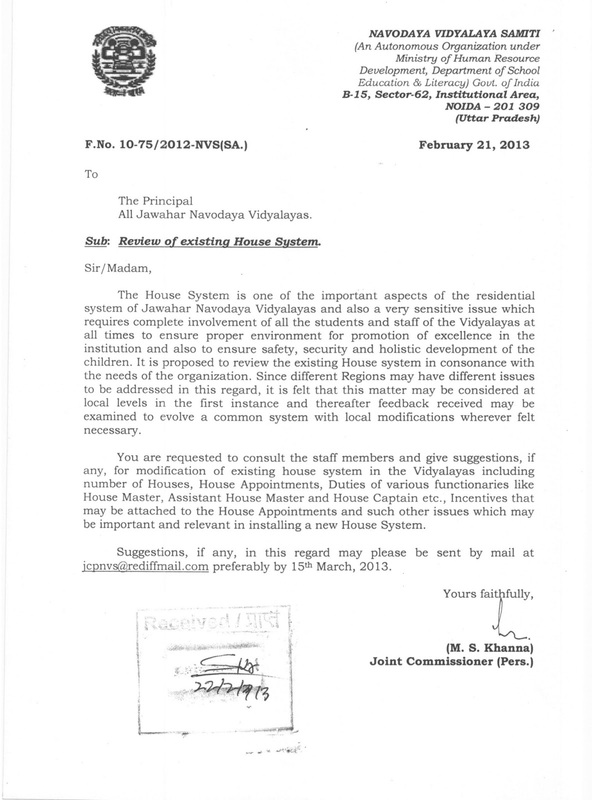 Permanent House Warden post or Matron post should be created in every Vidyalaya. He/She would be fully responsible for the safety and security of the students. One warden/matron should be responsible for 80 students only. A rector should be appointed for monitoring /supervising the work all these Wardens/Matrons. Proper pay scale and incentives should be disbursed to these wardens/matrons and rector. The appointments and salary of all these persons should be in commensurate with their proper qualification. The warden/matron would ensure the roll-call of the students at the dining hall, departure from dormitories to various places in the school premises and also monitor the entry to dormitories. He/she should act as a psychological counselor to the stressed wards and truants, if any. He/she should see to it that the students behave in a disciplined and civilized manner. He/she would also be responsible for the safety and security of the students during holidays and at times other than school hours. There should be only 40 students/wards in each house. Number of girls’ houses should be increased. One attendant should be appointed for very small age ,sensitive 6th class students to look after their personal hygiene . The subject teachers should be responsible only for the academic activities of these students/wards to achieve the benchmarks set by NVS. The house prefects will co-ordinate with the wardens, subject teachers and rector for the smooth running of the Houses.